The ring-route leaves from and ends in Nisportino beach, a seaside country hamlet of the Municipality of Rio nell'Elba (north-eastern section of the island). 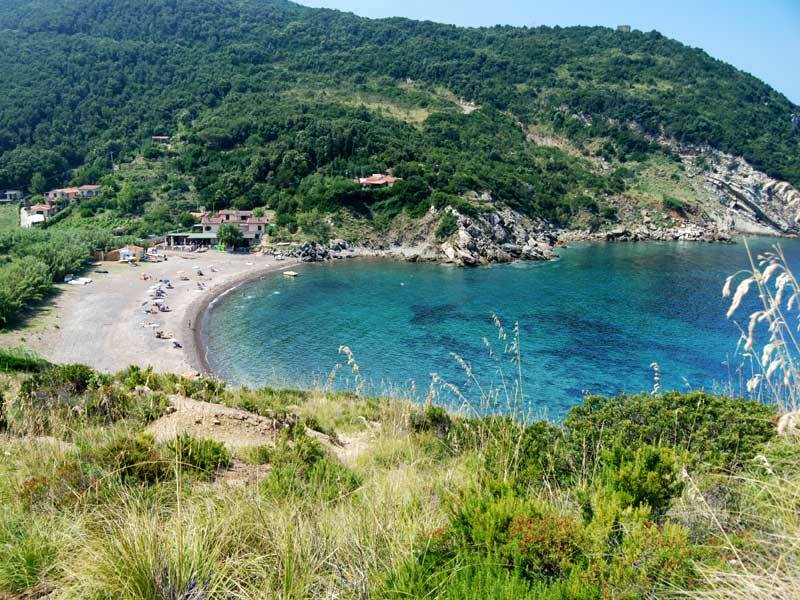 To get there, follow the asphalt road from Rio nell'Elba and Nisporto. After parking the car at Nisportino beach, head towards the north. The landscape here is intact: these places have been characterized until not a long ago by a peaceful isolation, populated only by a few farmers dedicating themselves mainly to wine growing and production, to the extraction of the local calcareous stone for the production of lime, and to fishing.